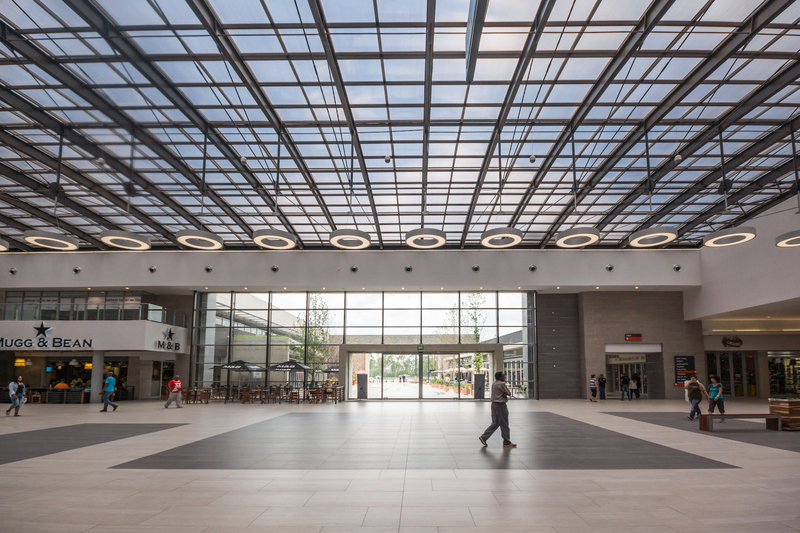 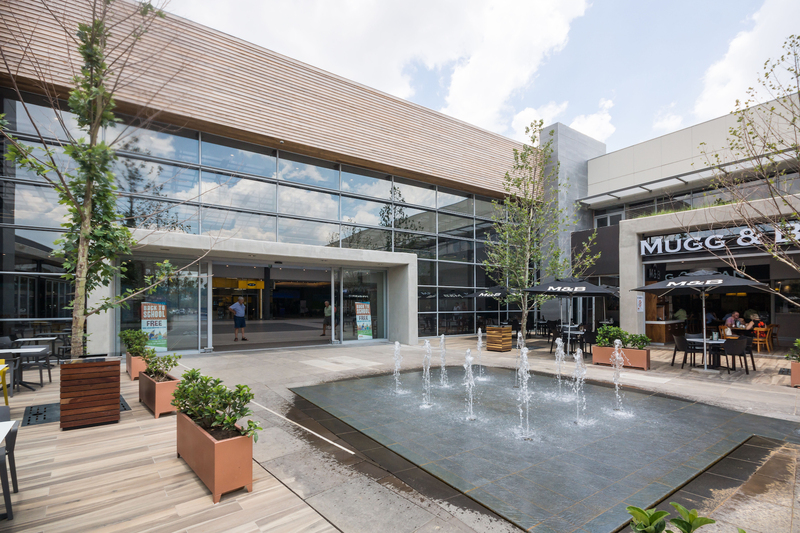 Matlosana Mall serves as successful example of how the surrounding environment and heritage of a region can be incorporated in design to provide shoppers with an interesting and multi-faceted retail experience. 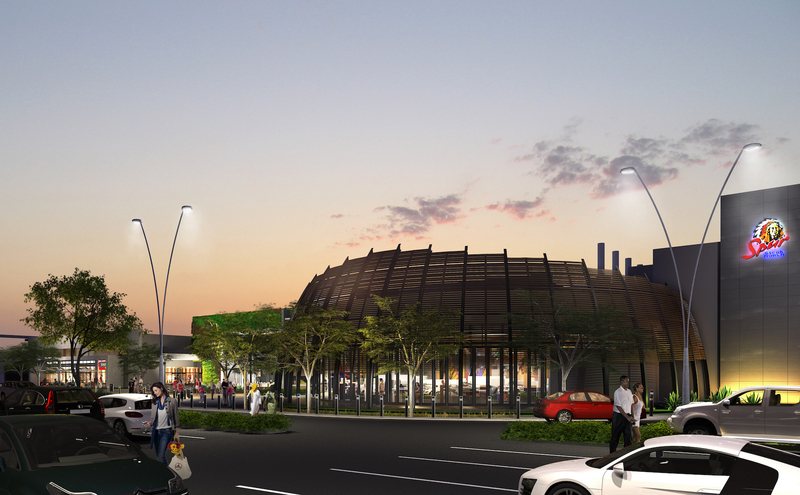 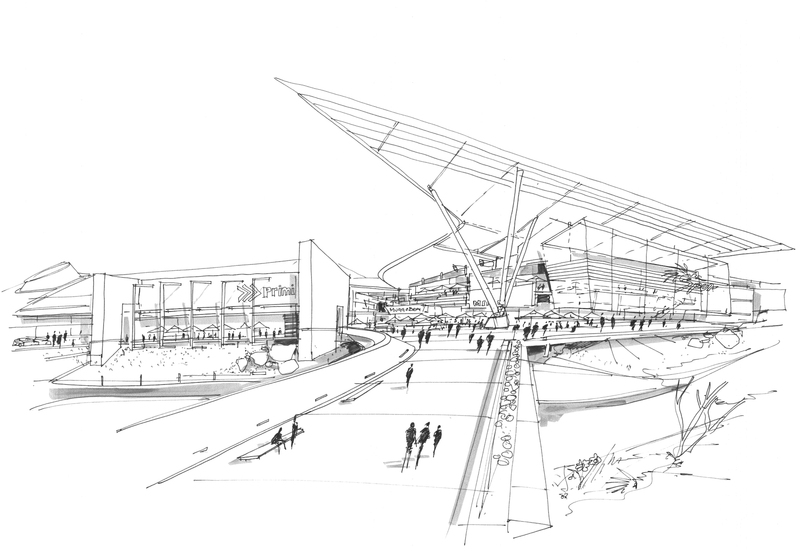 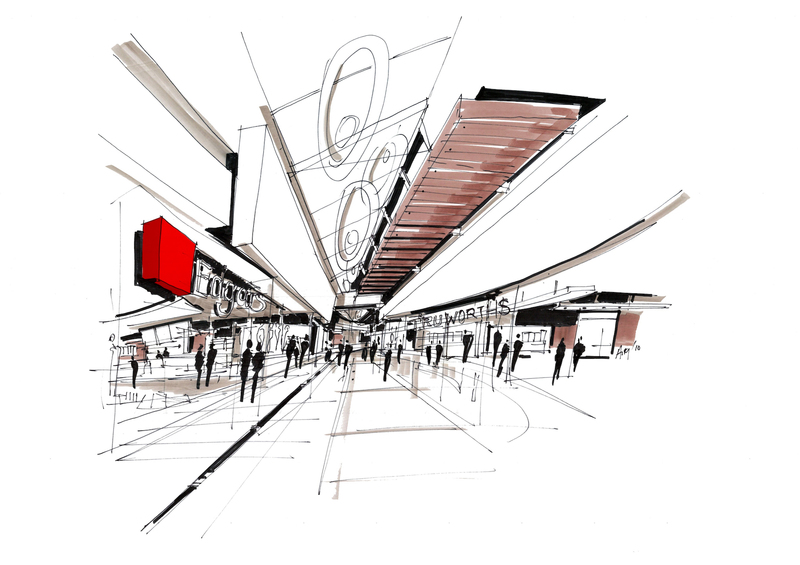 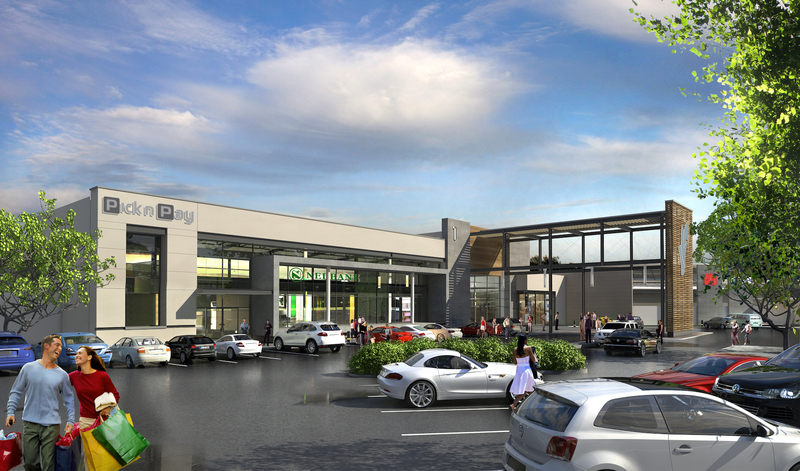 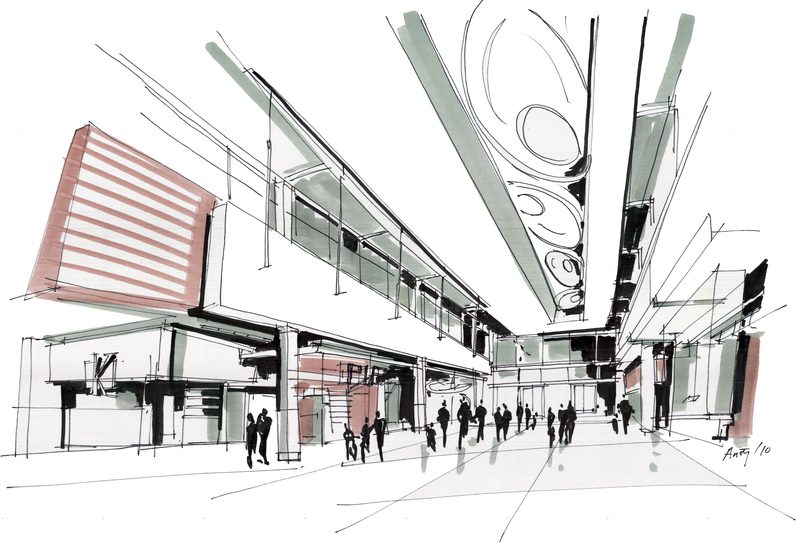 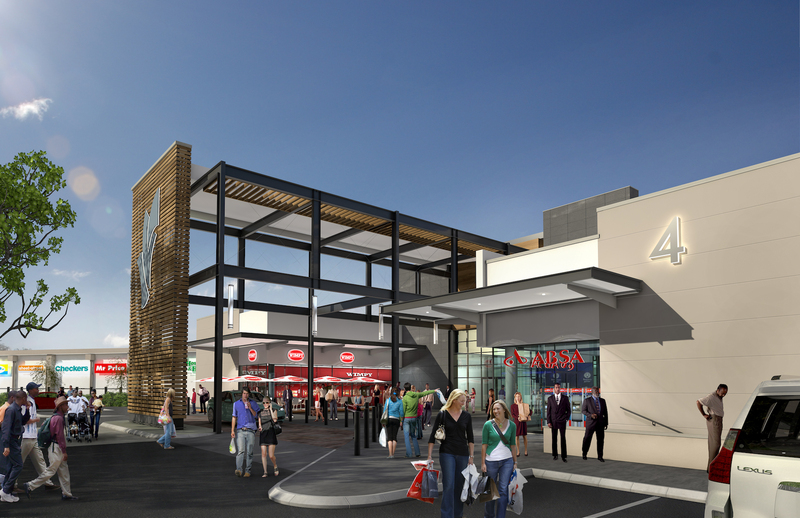 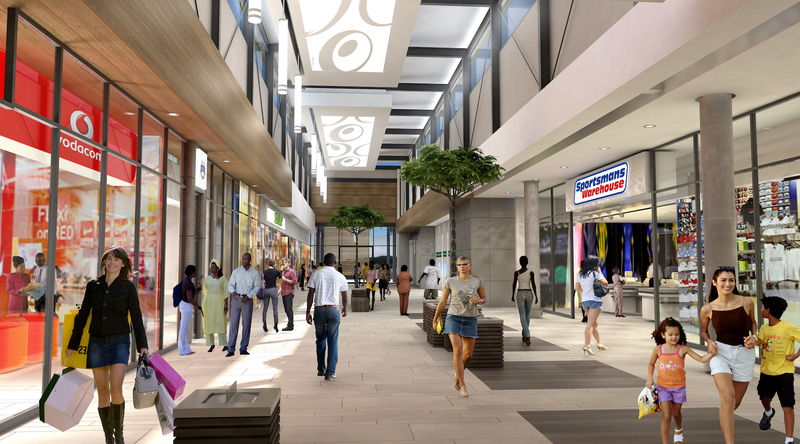 The client brief was to design a 65 000 m2 GLA regional mall at Klerksdorp in the North West Province. 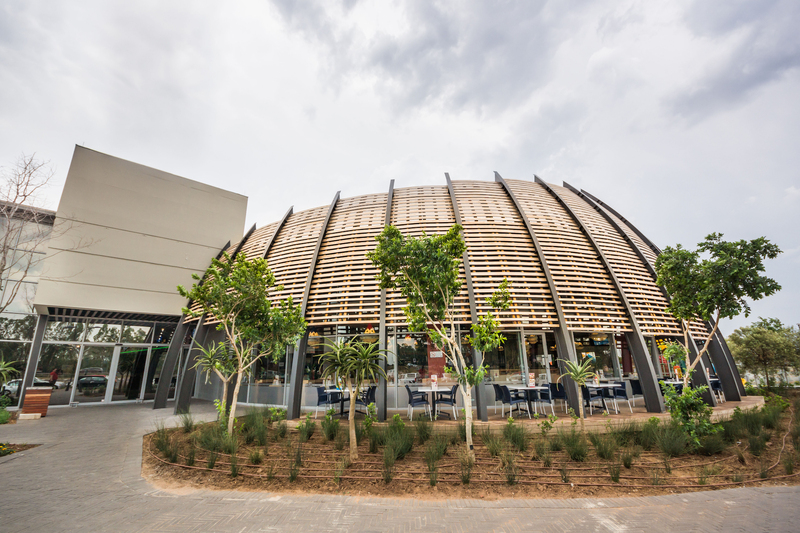 The site is roughly 20 hectares in area, flanked on the north side by the N12 highway and on the south by a seasonal wetland. 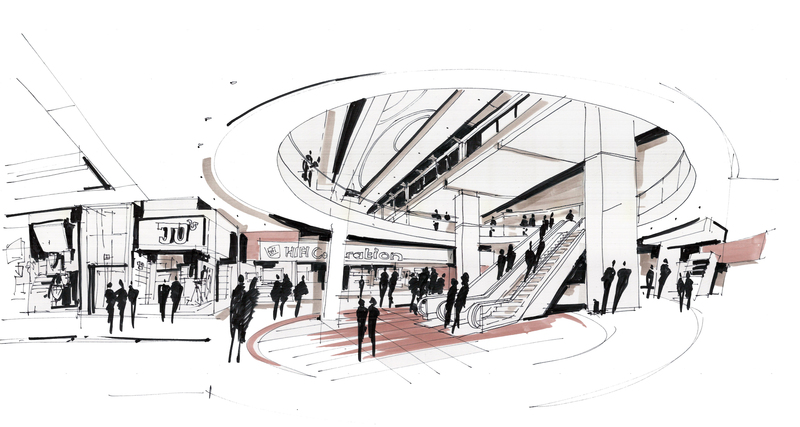 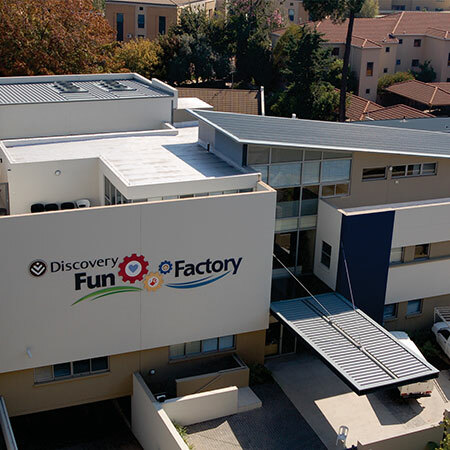 The design had to accommodate all major nationals, 265 shops, 6 movie theatres, a gym and an office component on the first floor. 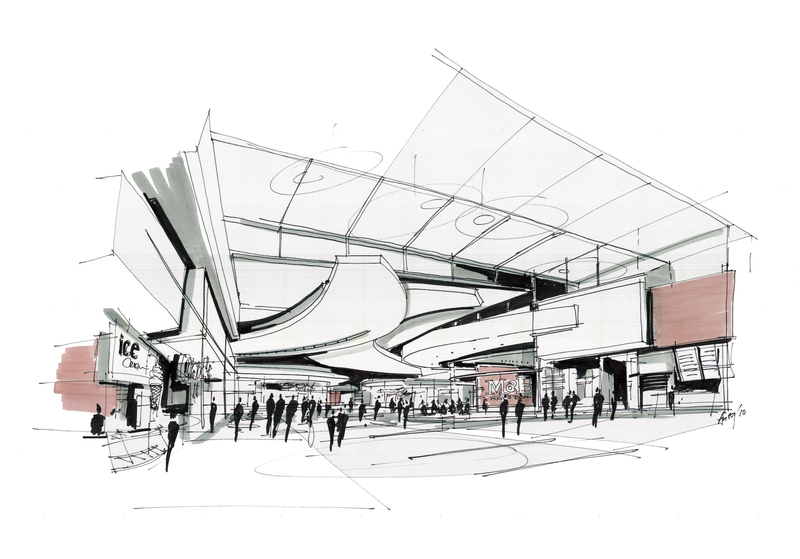 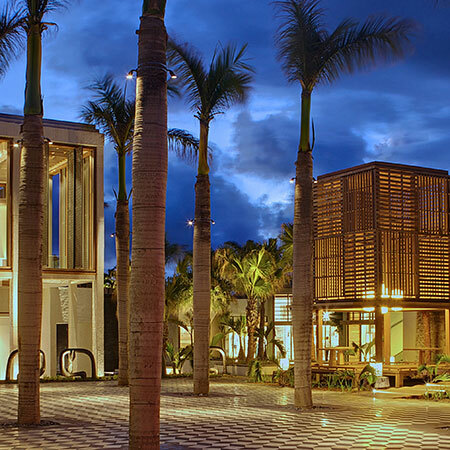 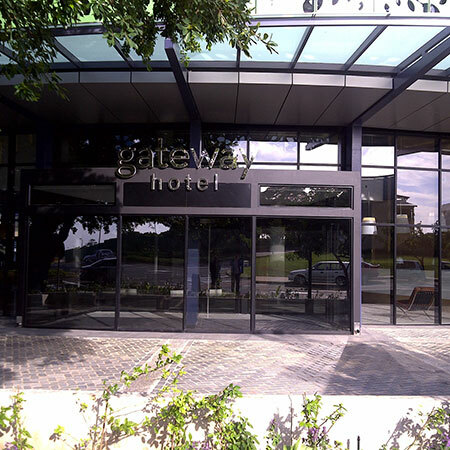 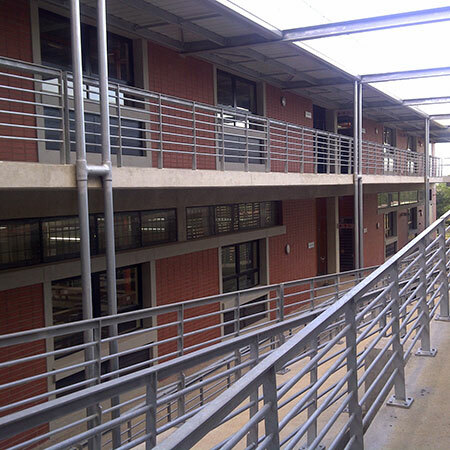 The brief also included a food court surrounded by restaurants and fast food outlets. 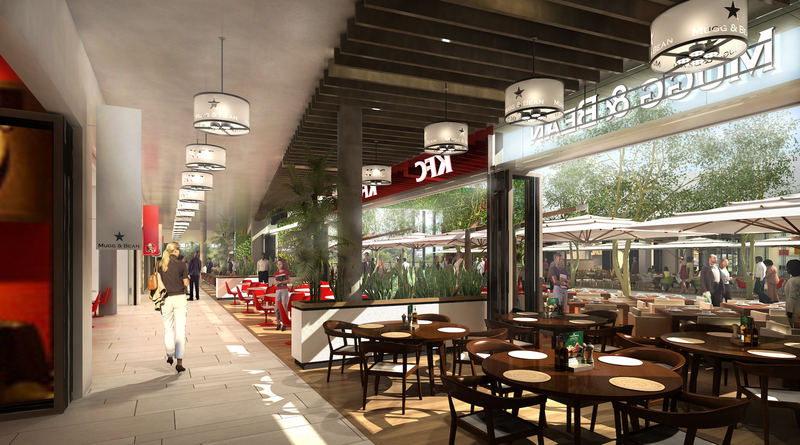 The restaurants included covered and outside sitting areas. 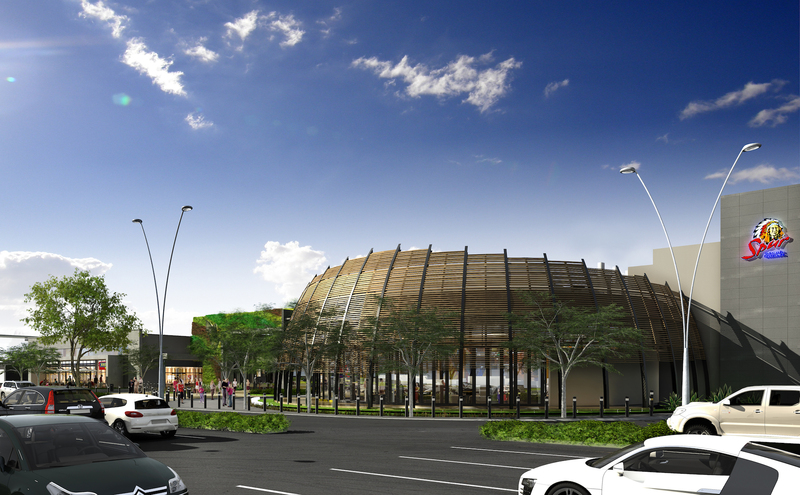 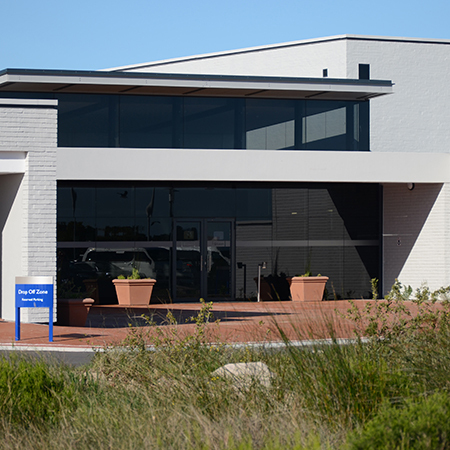 The site had to be developed with three future development pad sites, two full intersections from the highway and five parking bays per 100 m2 of retail. 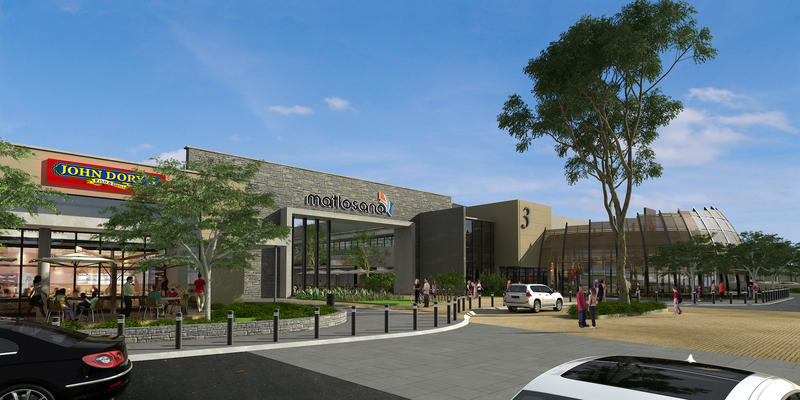 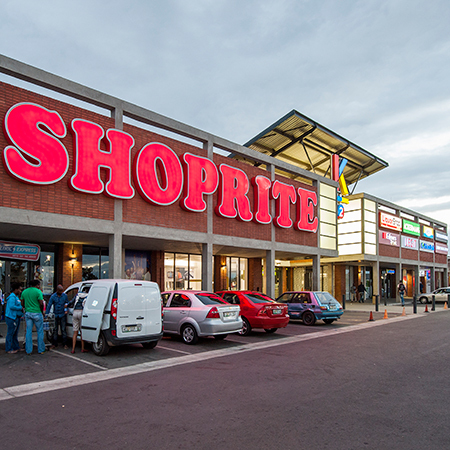 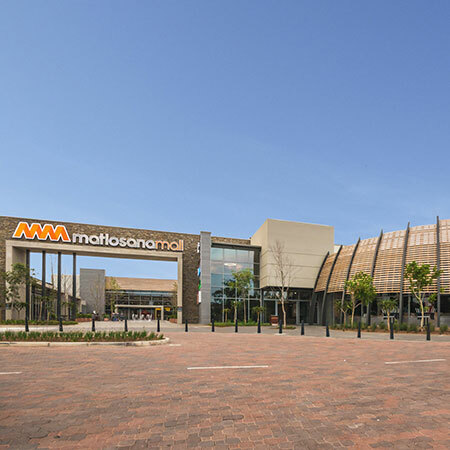 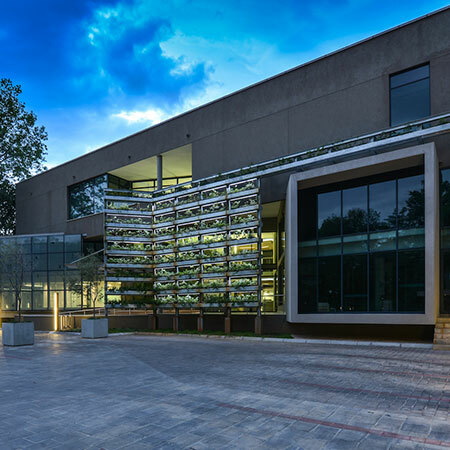 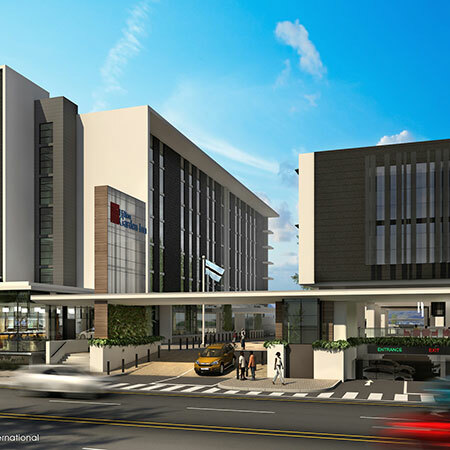 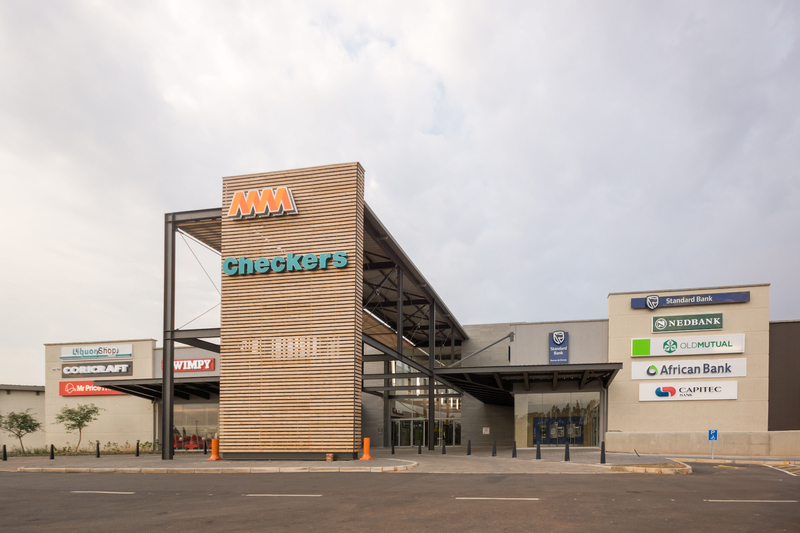 JSE-listed REIT Redefine invested approximately R1 billion to develop Matlosana Mall with Abacus Asset Managers as developer and leasing manager. 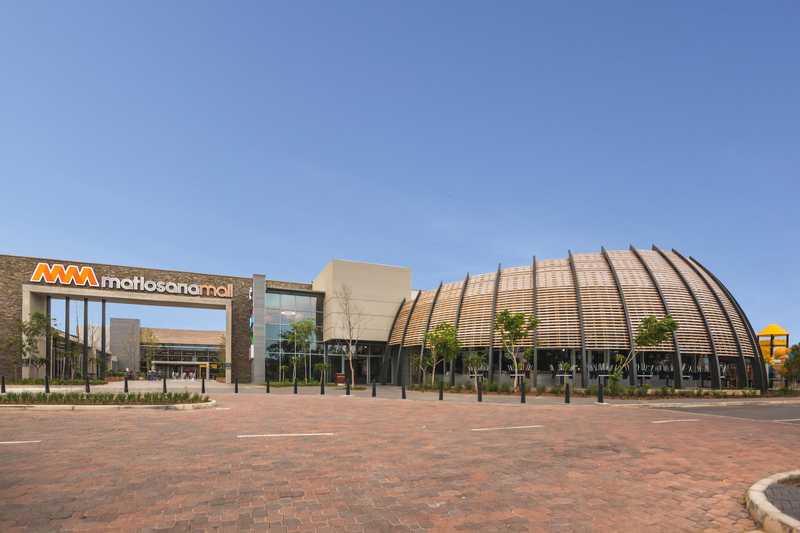 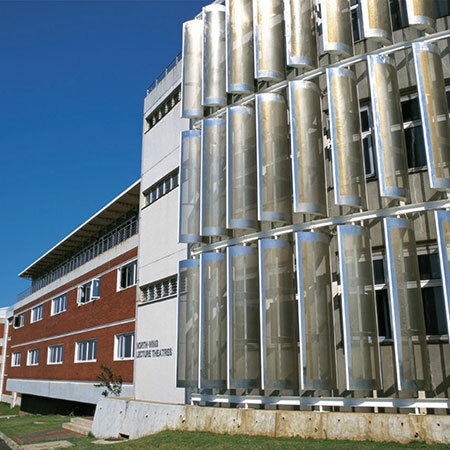 The mall design won the SAPOA Shopping Centres Category A Award in 2015.